No less than five intrinsically safe electronic pressure gauges for use in areas subject to gas explosion risks have been introduced by Keller AG für Druckmesstechnik. 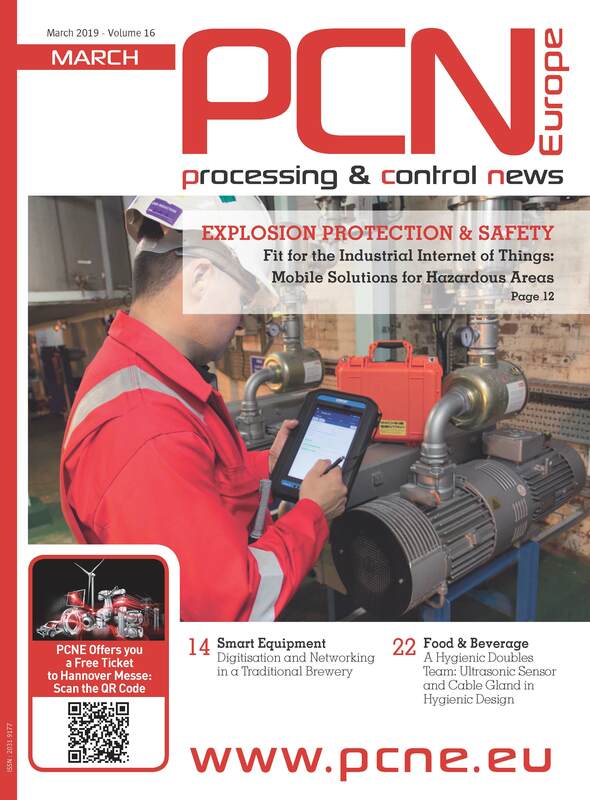 The type approvals are compliant with the ATEX Explosion Protection Directive regarding explosive gases. The electronic design of these devices is trimmed to minimise energy consumption, so it is also possible to replace the batteries inside areas with explosion risks. The simplest version, model ECO 1 Ei, offers high resolution and reproducibility for both measuring ranges (-1…30 bar and 0…300 bar), together with accuracy (typical) of 0.5 %FS and an integrated min/max memory. The application range as per the ATEX directive is defined by identification markings Ex ia IIC T5 or T6. Keller’s type LEO 1 Ei and LEO 2 Ei electronic pressure gauges feature microprocessor-assisted compensation to ensure an extremely narrow total error band (including temperature errors) of only <0.2 %FS over the entire range of operating temperatures from 0 ... 50 °C. The zero point can be selected freely within the four measuring ranges between -1…3 bar and 0…700 bar. An automatic switch-off function guarantees energy efficiency. Both models feature sampling rates of 2 Hz and integrated min/max memories. The special feature of the LEO 1 Ei is its additional memory for peak values. In peak mode (as it is known), even extremely short-lived peak values for system pressure are registered with a sampling rate of 5’000 Hz. These values are often critical for the lifetimes of hydraulic plants. For both these pressure gauges, the application range as per the ATEX directive is defined by identification markings Ex ia IIC T5 or T6. Another version of the ”Leo” type electronic pressure gauge, the LEO Record Ei, is equipped with an integrated data memory to record pressure and temperature progressions in the measuring medium. Outside of areas with explosion risks, the data can be transmitted via an RS485 interface to a PC, for evaluation with the Logger 4.X software (available free of charge). The LEO Record Ei can register pressures of up to 1’000 bar with a total error band of ±0.1 %FS. With a capacitive sensor, this type is also available for very low measuring ranges starting from 30 mbar (±0.2 %FS). The application range as per the ATEX directive is defined by identification marking Ex ia IIC T4. 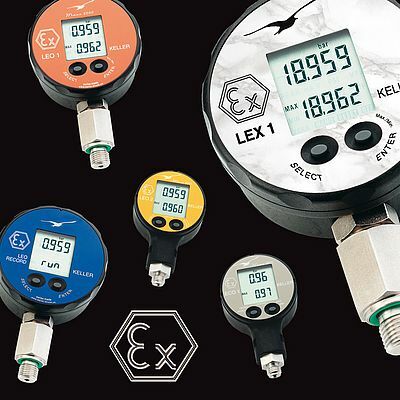 Featuring accuracy of up to 0.01% FS, the LEX 1 Ei electronic pressure gauge is a genuine reference and precision measuring instrument that has been specifically equipped with a 5-digit display for calibration and testing purposes. Pressure measurement ranges of between -1 bar and 1000 bar are available. The LEX 1 Ei also offers a min/max memory and a digital interface to generate PC protocols. The application range as per the ATEX directive is defined by identification marking Ex ia IIC T6.